Divorce is an awful experience. It is one of the more dreadful events a person could ever endure, especially if the person going through the divorce doesn’t want it and is unsure how to proceed. Divorce is the radical and sinful separation of two people who married for life. There is a mystical, spiritual, and physical cutting away of the one-flesh union, and no matter where the separated people go post-divorce, they will always, in some way, be reminded of the amputation of their union. When a man and woman come together to become one flesh, they are no longer two separate individuals. When the Lord summarized His early work in the garden, He called them by one name—Adam (or man). They were meant to be that way forever. Marriage is two individuals creating an autonomous domestic empire. Then sin happened for the first couple. That event forever changed the possibilities of their relationship. It was now plausible for them to be separated, which occurs in two ways. Both of them are painful. One way is death (Romans 5:12), and the other is divorce (Matthew 19:8). Neither one of them are the way things are supposed to be, but because of our inherited sinful natures, we have no other choice for separating from each other within a marriage union. This article is about the permanent separation that divorce brings between two people. Just like death, it is essential to know how to divorce well. If you are unfamiliar with how to divorce well, it could take years, even decades, to recover. I am not making a case for divorce or suggesting that you get one. I’m merely stating the obvious about the dividing nature of sin, which is why Christians must be the leaders in talking about this sad subject. I have counseled scores of individuals who have gone through unwanted divorces. Most of them were Christians. Nearly all of them wanted to divorce well, but they were unclear on how to do it, thinking they may compromise their Christian beliefs. Let me re-clarify: none of these believers wanted to divorce their spouses, but upon realizing they were in divorce litigation, they did not know how to continue the right way. If they had their preferences, they would not be going through any divorce proceedings, but their spouses did not allow another option. Because they framed the argument between “being nice and being mean,” they were confused on how to think about what was happening to them. The reason these Christians framed the situation as “nice or mean” was that they wanted to be Christlike to their mean spouses. And they saw their circumstance as either be like the mean spouse or be nice. The big point they were missing was how they needed to frame the argument another way. Rather than thinking there were only two choices—niceness or meanness—they needed to consider a third option: wisdom. We should always be “nice” because there is no place for a Christian’s response to others to be mean. But if you frame everything as either nice or mean, you could be unwise in how you respond to the divorcing spouse. The problem in view here is a narrow understanding of what the word “nice” means. Too often a “nice Christian” will go into a legal battle with an un-nice Christian, and the nice Christian will be taken to the cleaners, as they say. For example, the nice Christian will incur a financial debt that takes decades to overcome. Because they wanted to be nice rather than mean–like their divorcing spouse–they roll over to whatever the other person wants. This approach to divorce is not wisdom speaking, but fearfulness or naiveté. Illustration about Money – It would have been better for them to recalibrate their thinking as to whose funds they were dividing. Who is the owner of their wealth? The redistribution of wealth during a divorce is the redistribution of the God’s wealth. Christians are money managers for the Lord. That is one of our many job titles, and it is incumbent on us to be wise in how we divide up His possessions in such an event of a divorce. This perspective requires humility and wisdom, though it does not imply you have to be mean. You can be wise and kind. There should not be a vindictive bone in your body, even if you are on the victim side of divorce. Being nice never means that you are to give another person everything they want from you. Sometimes giving a person everything they want is the wrong thing to do. The devil is the one who says you can have anything you want. Our loving heavenly Father is kind, and He says “no” to some of our wishes. A Christian will be mean, selfish, and vindictive. A Christian will roll over and give everything away because they believe it would be wrong to fight over the assets. 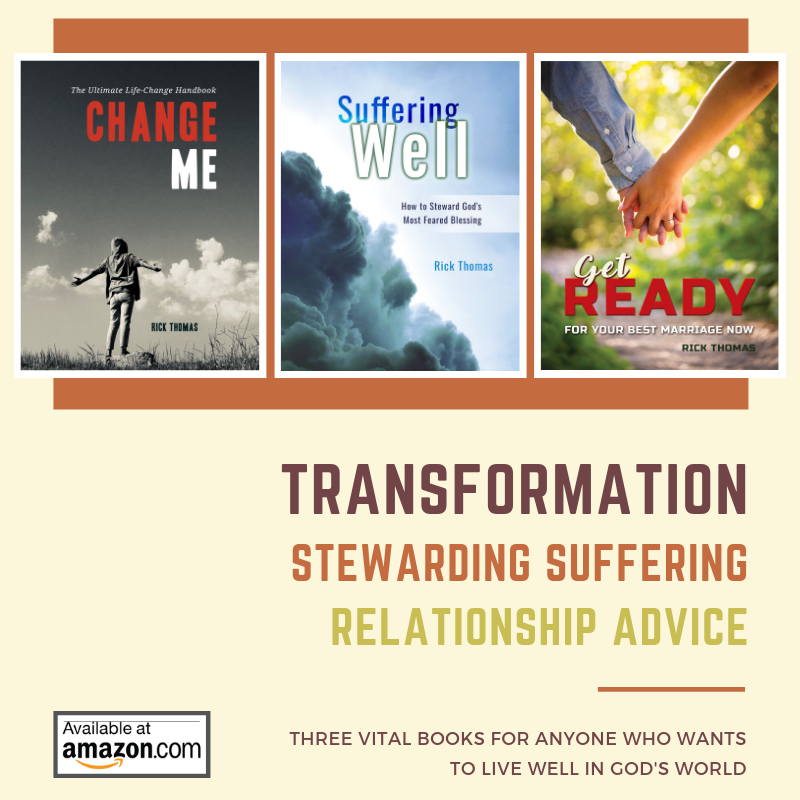 This predicament is one reason it is imperative for the Christian who does not want a divorce to have a competent and compassionate friend walk with them through the process. It is impossible to realize how subjective and confused a person can be while going through a divorce. It typically takes an individual about two years after the divorce to come out of the fog of what happened to them. If they do not receive help during the process, they will realize the foolishness of some of their decision-making during their divorce season. They thought they were nice and honoring the Lord. What happened is that their divorcing spouse took them on a ride from which they may spend the next decade recovering. Divorce is a stewardship issue. You want to steward the many responsibilities that are before you during this dark time in your life. One of those stewardship issues is being a humble and courageous money manager for the Lord. Another issue is how you steward the Lord’s fame. The Lord will lead you down many difficult paths of righteousness for His name’s sake (Psalm 23:3). These challenging times are your opportunities to put His excellent name on display. It is easy to lose a God-centered focus by over-personalizing an intensely personal thing that is happening to you. The individual who is pursuing an unbiblical divorce is ultimately rejecting God. They do not want the Lord to rule over them. This truth should stir-up pity in your heart as you think about them. Your temptation may be meanness, unkindness, vindictiveness, or harshness toward them. You should keep in mind that the primary issue is that the divorcing spouse is not rejecting you primarily, but they are rejecting God. Keeping this in view will help you to have more effective Christlike responses toward them. Anybody who is willing to do what the Bible forbids is ultimately rejecting God’s rule over their lives. As the Lord told Samuel, when the sinful Israelites wanted to do it their way, let them have their king. In the case of a divorce, let them have their king because they do not want to follow God. Ask the Lord how you can steward His fame during your divorce. It is God who is fighting for you and you know it will ultimately turn out well, even though you may believe your adversary is winning the battle at the moment. More than likely you will come out of the skirmish beaten, battered, and bruised. You will have a hard time holding up your head. Your heart will be heavy, and it may seem you will never overcome this experience. In one way, as I said at the beginning, you will never wholly overcome this marital defeat. There will be scarlet “D” etched on your chest with a perma-marker, but that does not mean you have lost. Giving yourself up to the death of your marriage is a picture of Jesus giving Himself up to the death of the cross. His friends could not see beyond their immediate fixation on what they believed was the right thing to do (Mark 8:31-33). They could not imagine how the Lord God Almighty could make anything good come from the death of all their dreams. The Messiah was here, and now He is dead. What good could come from such evil? Jesus courageously and wisely faced the inevitableness of His death. He submitted Himself to something He could not change, which was His Father’s plan to crush Him (Isaiah 53:10). Jesus did not like it, and it weighed heavy on His soul (Mark 14:33-34), yet He submitted to it (Mark 14:36). You know the rest of the story. The worst thing that could happen was the best thing that could happen. That is how we think about the irony of the gospel. God’s truth will prevail, and if you adhere yourself to His truth, you will be the ultimate victor. No matter how vaunted and mighty your spouse appears during this season of divorce, there will be a day when bitter herbs will consume their soul. A person cannot sin against the Lord and ultimately win. Sin always requires its wages (Romans 6:23). You may be in the pit of sorrow today because you were made to go through something you did not want, but it will not always be this way for you. Trust me on this. If you will walk with the Lord, what you will see over the next few years is the physical and spiritual decline of your spouse while you are slowly renewed and strengthened in proportion to your allegiance to God. You will not only regain your physical and spiritual strength, but you will be in a better place than you were before your divorce. The reality of the gospel took Jesus to His death, but it also brought Him out of the grave. If you seek to honor the Lord through the death of your marriage, He will give you what you need to rise from that death. What you are seeing and experiencing today is not what you will always experience if you will hold fast to the Lord. Who do you have to walk with you through a divorce? Do not trust yourself and do not be shy about asking for help. If you do not have a friend, I would recommend our community. When you hear the phrase, steward your divorce, what comes to mind? What are some areas that you are not sure how to steward? How do you think about your spouse? Does your heart mostly pity your spouse or are you more tempted to be angry with him/her? What is your biggest fear as you think about going through a divorce? How does that fear control your thoughts and actions? What are your temptations? How are you responding to them? Who are you talking to about your struggles? Are you being completely honest about what is going on in your life right now?